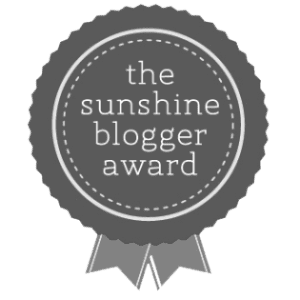 What is The Sunshine Blogger Award? | The Atlas Edit. 1 What is The Sunshine Blogger Award? 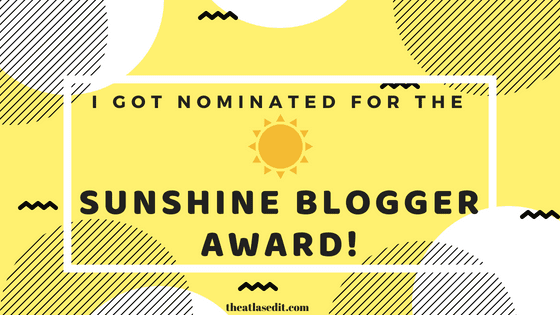 2 What are the rules of The Sunshine Blogger Award? The Sunshine Blogger Award is awarded by bloggers to new bloggers to recognize their achievements and offer support. 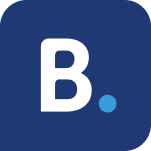 Blogging can be a pretty lonely journey because it’s not your conventional type of job that all your friends and family can relate to. So it’s nice to know that there’s this community of bloggers supporting bloggers, so you just don’t feel so alone on this journey! What have you learned about yourself from traveling? It was through my travel planning that I realized I had a knack for organizing things! I also know my way around a map. What’s the best travel advice you’ve received? I’ve been cracking my head over this question for a while now and nothing comes to mind! I don’t think anyone has ever given me travel advice per se but I do learn a lot by myself along the way! What’s the travel advice you always give? Always go with an open mind! You’re traveling to see another side of the world, another culture, so don’t expect things to be how you would expect them to be. What’s your travel style – are you active and adventure driven or do you prefer to kick back and relax on your travels? 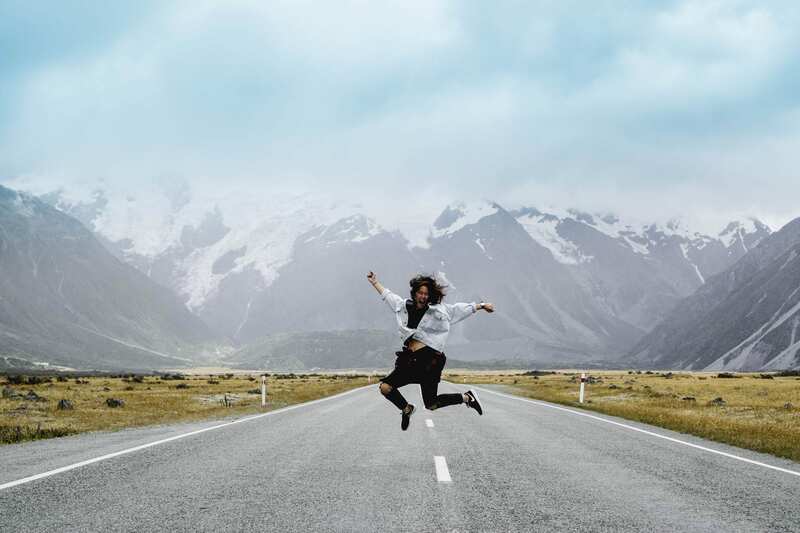 On the highway to Mount Cook, New Zealand! Given the choice, I would love a mix of both. I like days where I’m just on the go and have a fully-packed itinerary and some days when I can wake up and not have anything planned. What movie, book or television show describes your travel style? I can’t think of anything off the top of my head, but I am quite an obsessive planner and I am a FRIENDS fan, so Monica Geller comes to mind, with her 11 categories of guest towels. Sounds like something I would do! On the other hand, my friends often have no idea where I am in the world so it reminds me of this 90’s TV show I grew up with called ‘Where In The World Is Carmen Sandiego’! What are three things that you take on all your travels and why? Apart from the usual necessities, I always travel with my noise-canceling earphones cause you never know when you might get stuck with unwanted noise, plush toys (to hug at night!) and my power bank cause I’m constantly on my phone navigating from place to place! What’s the best travel deal you ever scored? 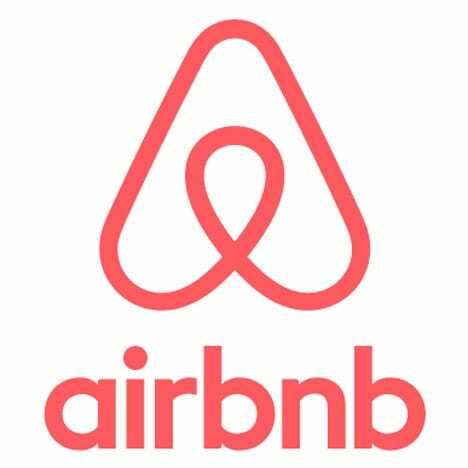 I usually book last minute so we never really get amazing deals on flights but we have been very pleasantly surprised by amazing apartments that have turned out way nicer than we’d imagined. And that weren’t too expensive! Our luxurious 2-bedroom apartment in Porto for just €150! → Read about how I got this 2-bedroom luxury apartment in Porto for a steal. How do you learn about a culture that you’ll be visiting – read up beforehand or get the feel for it once you arrive? I like to be surprised so I just get a feel for it once I arrive. The real experience can never truly translate through reading anyway. Once I have a feel of it, then I might read up a bit more to understand it a little deeper. What’s your biggest travel mess up? I’m pretty organized with my flights and travel arrangements have never missed a flight, but probably one of the biggest inconveniences are when weather messes up our plans. We got pretty unlucky in Iceland when weather turned bad, and all our tours got cancelled last minute so we were stuck in Iceland with almost nothing to do. 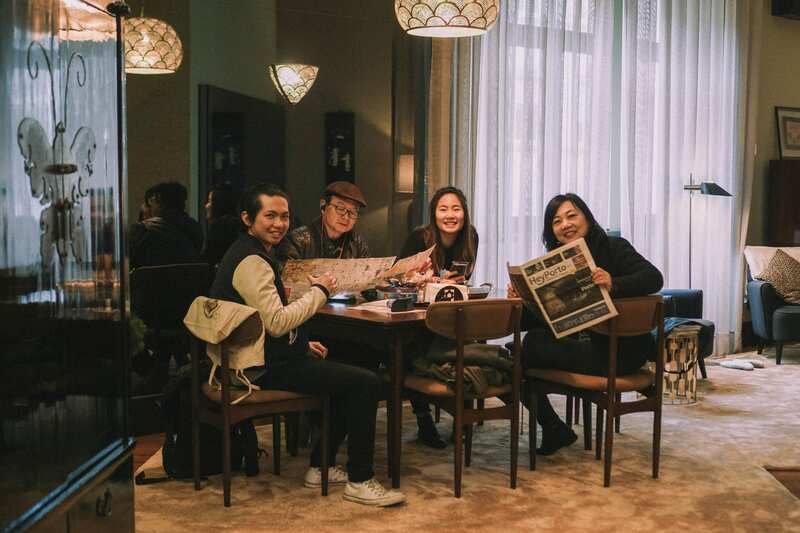 So we tried to find other bigger tour groups who would be going out on day trips, and tried to book the night before, to which we received a confirmation email. So the next morning, we got ready really early and waited for the pick up but the tour group did not come as they’d missed us! We had to frantically look for a tour to take us a little later, but that caused a domino effect for the rest of our time in Iceland 🙁 I probably didn’t do sufficient research about how driving was the best option when exploring Iceland too so that’s one of my biggest regrets. Well, it’s an excuse to return one day! Are you an adventurous foodie? What’s the most unusual thing you’ve eaten and name something you won’t eat. 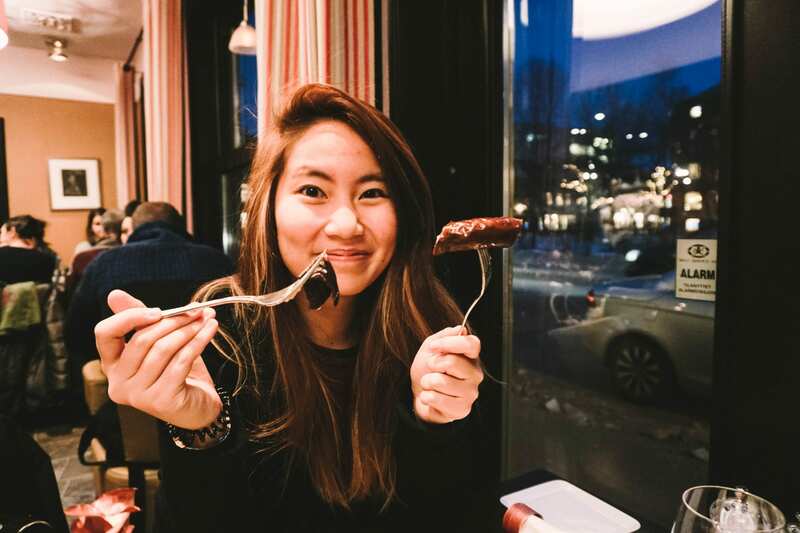 Reindeer sausage and whale carpaccio in Tromsø, Norway! Yeah, to a degree! I’ve tried some pretty interesting meats in the Nordic countries like whale, reindeer, bear and hare.. and even cheetah meat once. I would never eat dogs or spiders! All insects for that matter. Name the top 5 places on your bucket list that you haven’t been to yet. What’s your favorite part about traveling? Which is the most overrated country/city you’ve visited in your opinion? Where is the best food you’ve ever had? What is your most spontaneous travel story? Do you have any travel regrets? How do you usually decide on where your next travel destination will be? What’s something not many people know about your home country? What’s your favorite and least favorite part about travel blogging? What are your long-term goals for your blog and what do you want to achieve out of it? A huge thank you again to Tina of Traveleidoscope for nominating for this award. This has been a really fun experience! I hope you enjoy answering these questions and do continue to pass this on to your own selected 11 nominees so we can keep this going and encourage one another in this community 🙂 Do leave a comment here after you’ve done your own post so I can see your answers to my questions! Thanks again for nominating us, we really enjoyed this!